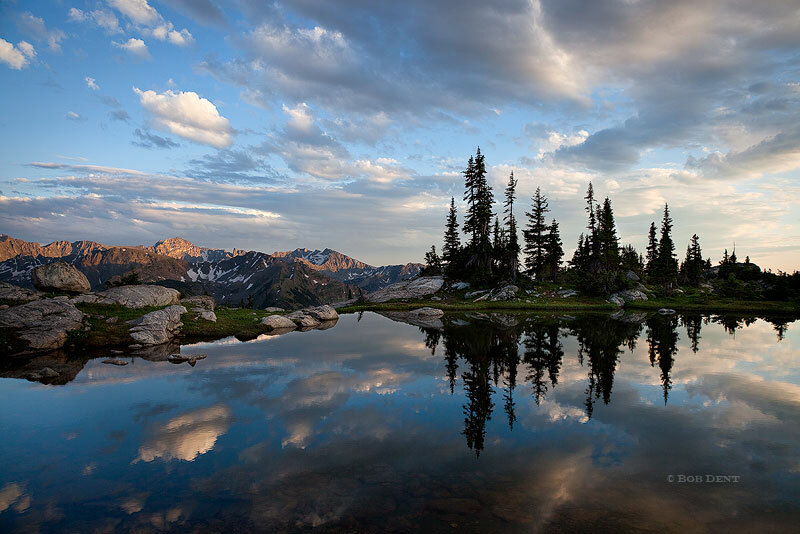 Clouds reflecting in an alpine pool at sunset. Indian Peaks Wilderness, Colorado. Photo © copyright by Bob Dent.